So, you’re here because you want to learn how to buy Stellar Lumens. Maybe you want to buy Stellar (XLM) because you believe in the technology? Or maybe you only want to buy XLM for a short-term trade? Regardless of why you want to buy Stellar, you need a safe and simple way to do so. And in this guide, we show you the 6 best ways to buy Stellar. 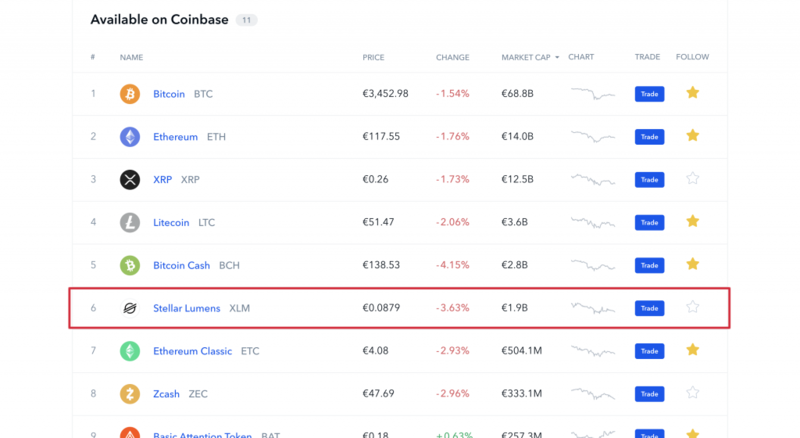 Widely described as the most user-friendly on-ramp for cryptocurrency purchases, Coinbase has risen to become one of the most popular platforms for investors looking to get to grips with cryptocurrencies for the first time. 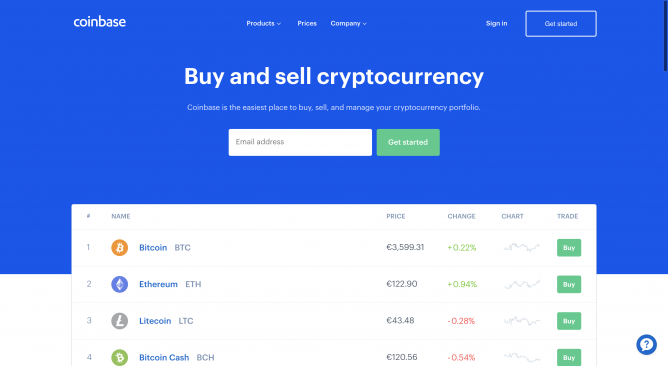 Coinbase stands apart from most cryptocurrency exchange platforms thanks to its extremely selective range of supported cryptocurrencies, with around 20 different assets available to choose from. Stellar is one of the more recent additions to the list, being added in March 2019, thanks to its long-term potential and community-centric ethos. Since launching in 2013, Coinbase gained a reputation for blazing a trail in the industry, and is considered one of the major platforms pushing for the global adoption of cryptocurrency. In total, the platform has registered over 25 million users, making it among the most popular cryptocurrency exchange platforms today. That said, if you’re not a big Coinbase fan then scroll below because in this guide we have reviewed some Coinbase alternatives. 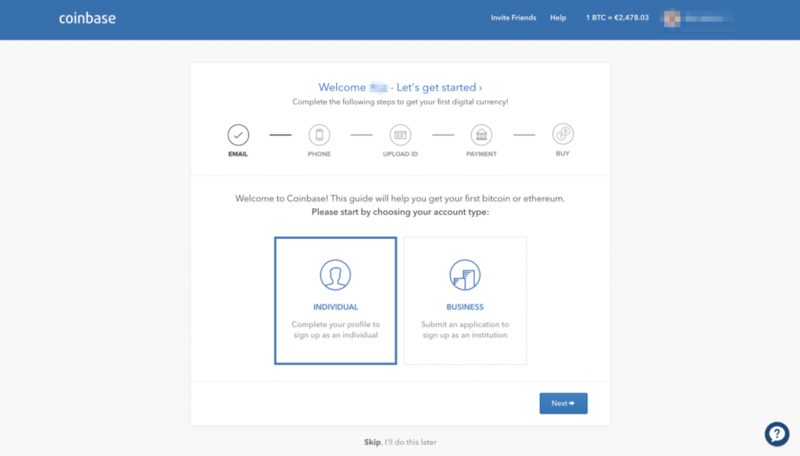 Once you’ve decided on Coinbase as your exchange of choice, you will need to create an account before you can start the purchase process. To do this, simply head over to the website and click the “Get started” button to begin creating your account. On this page, you’ll need to supply your name and email address, as well as enter a secure password that you will remember. Remember to verify your account by clicking the confirmation email you will receive shortly after registering. Since Coinbase complies with both KYC and AML regulations, you will need to verify your identity if you want to use the platform to purchase XLM. This usually doesn’t take long, so shouldn’t be too much of an inconvenience. After logging in, you will be immediately presented with the verification process, requiring you to supply proof of identity such as your passport or drivers license. 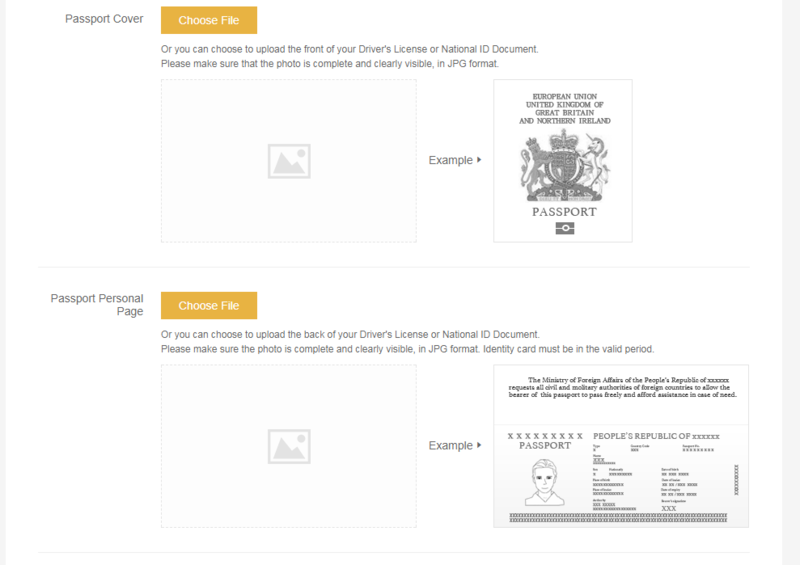 Simply follow the on-screen prompts to upload your proof of identity, after which you’ll need to wait for a few hours before your ID is verified. Once this is completed, you’ll need to verify your phone number and address to finalize the verification process. 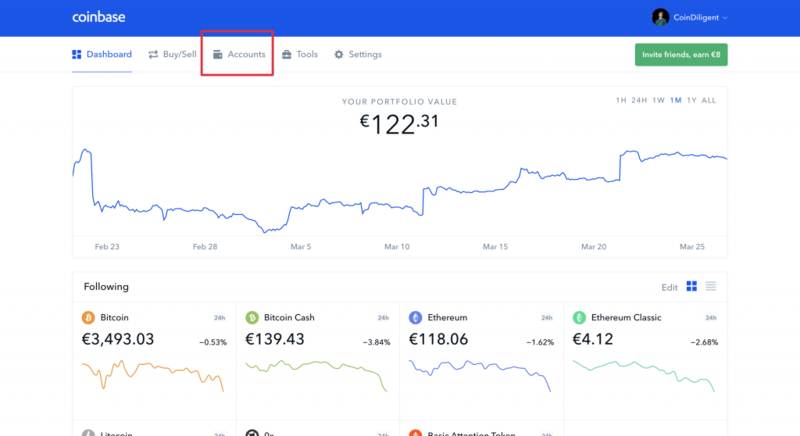 Once verified you’ll now be able to deposit USD, EUR or GBP to your account by navigating over to the accounts tab, which will open your Coinbase wallet. Here, you’ll need to scroll down to the currency you’re looking to deposit and click the deposit button to pull up instructions on how to complete the process. Once sent, these funds should be credited to your account in 3-5 working days. Note that you can also purchase XLM directly with a debit or credit card by adding this to your account via the payments method page. Once your funds have cleared and are visible in your account, you’ll be able to use your fiat balance to buy Stellar instantly by heading over the “Dashboard” tab, before clicking the “Discover more assets” button to find Stellar Lumens (XLM). 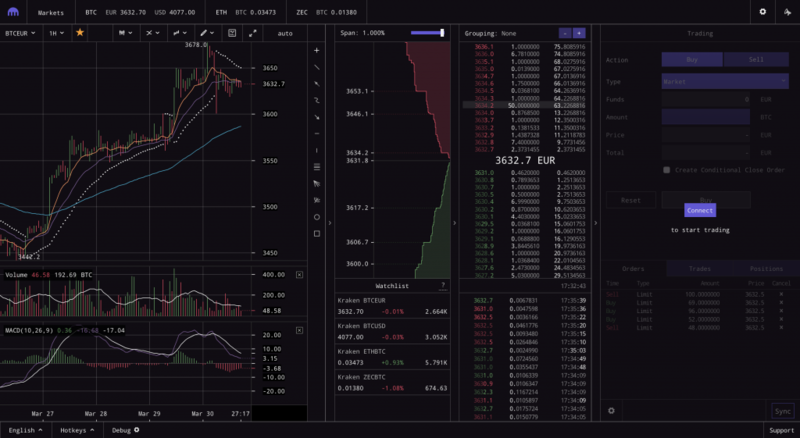 On the next page, scroll down to find Stellar, and click the blue “Trade” button to bring up the full trading panel for XLM. Now simply enter the amount of fiat currency you want to spend on XLM, select the wallet to deduct this amount from and click the “Buy Stellar Lumens” button. This will automatically purchase XLM at the market rate and deposit it to your Coinbase wallet. If you opted to use a credit or debit card to purchase XLM you will need to select this from the available payment options in the drop down menu. Note that while this is instant, you will likely have a lower maximum purchase limit with this option. Despite only being launched in 2017, Binance has quickly risen up to become the world’s most popular cryptocurrency exchange. Frequently reaching over $1 billion in daily trade volume, and featuring over 400 different trade pairs, Binance is considered a complete juggernaut in the industry. 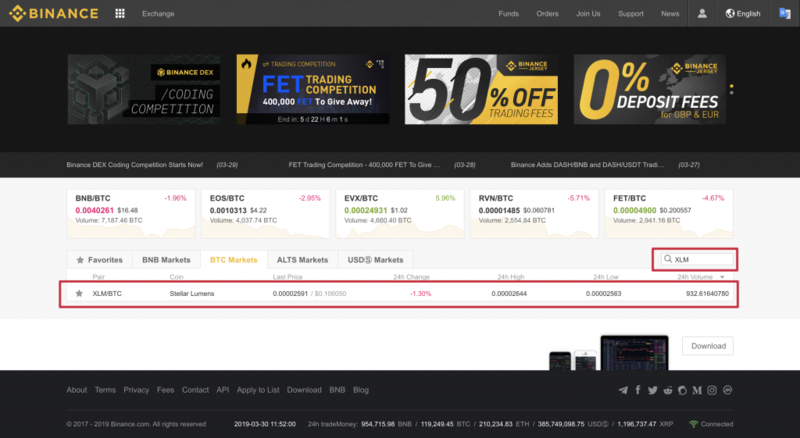 One of the things that makes Binance so attractive to traders is its extremely low trading fees, which are among the lowest in the industry. Beyond its already low 0.1% trading fees for most members, Binance also provides volume-based fee reductions, plus incorporates a unique token holding model to allow traders to reduce their fees even further. Now, with over 150 digital assets available for trade on the platform, Binance has found itself the home of more than ten million cryptocurrency traders, and is currently among the most popular platforms for Stellar (XLM) trading pairs. 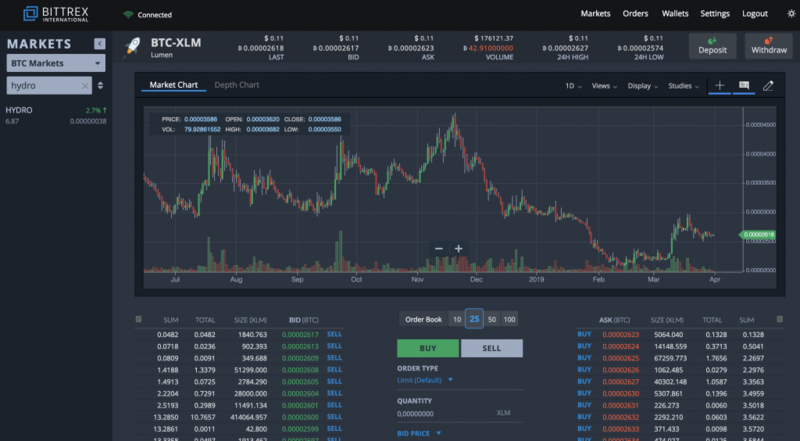 Purchasing XLM on Binance is a relatively simple process, particularly if you have used a cryptocurrency exchange before. 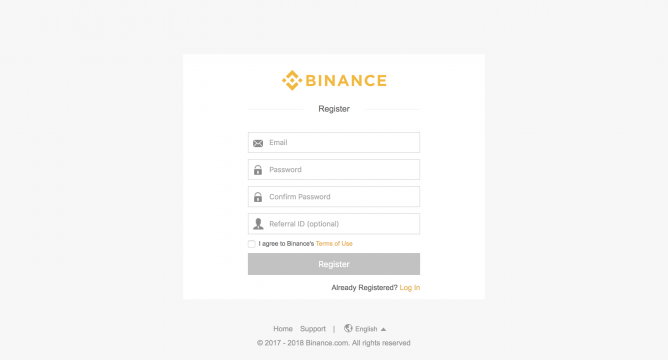 To get started, you’ll need to first create a Binance account. Start by navigating to the website, and clicking the ‘Register’ button. You will be asked to supply your e-mail address, and choose the password you will use to log in to your account. Once registered, we recommend enabling Google Authentication in your account settings. This will provide an additional layer of security to protect your funds. Unlike many other trading platforms, Binance does not handle fiat currencies at all. Because of this, it is also able to have much less invasive verification requirements. You will not need to complete ID verification on Binance unless you intend to withdraw more than 100 BTC worth of XLM in a single day. 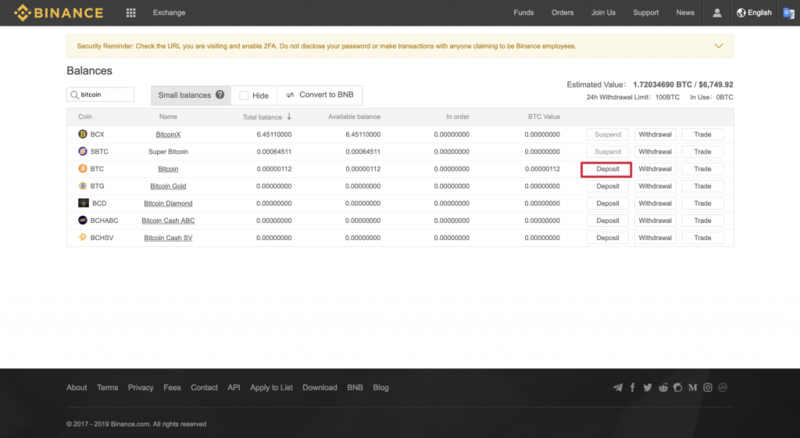 For normal accounts, Binance offers a 2 BTC daily withdrawal limit, which should be sufficient for most traders. To load your account with Bitcoin or Ethereum (which you will then use to buy XLM), head over to the deposits section of your account. Click on select coin/token to deposit, and scroll to find either BTC or ETH. You will then be provided your unique deposit address — this is the address you will need to transfer your BTC or ETH to. Note that BTC and ETH are not cross-compatible, so be sure to double check that you have selected the right cryptocurrency. Once you have made your deposit from your external wallet, you will need to wait until the transaction receives the minimum number of network confirmations before it appears in your Binance wallet balance. To create a buy order on Binance, you’ll first need to head over the exchange platform. We recommend clicking the basic option if you’re relatively new to cryptocurrency trading. 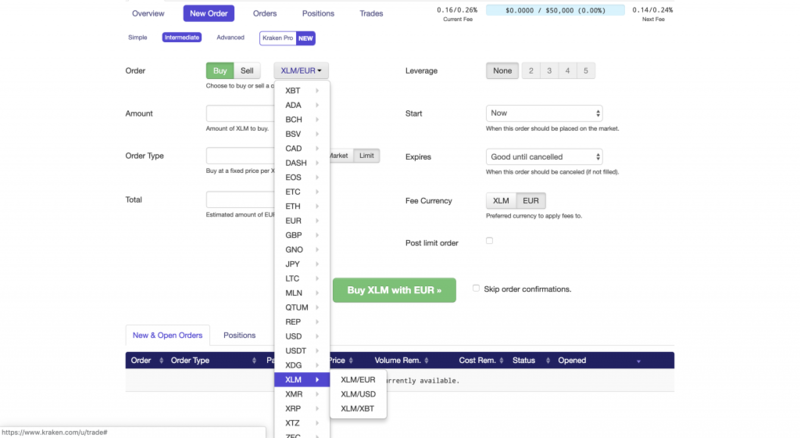 After loading up the basic exchange, select the base currency you wish to trade against XLM on the right, then either scroll down the list to find the XLM trade pair, or type in “XLM” into the search box to find it quicker. 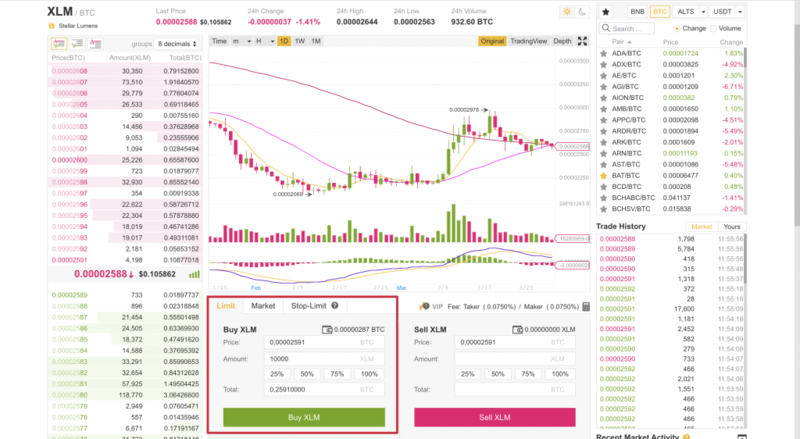 Click on the XLM trading pair, and then navigate to the buy box on the lower left corner of the graph. If you’re new to trading, click the “Market” tab to place an order at the current market rate. 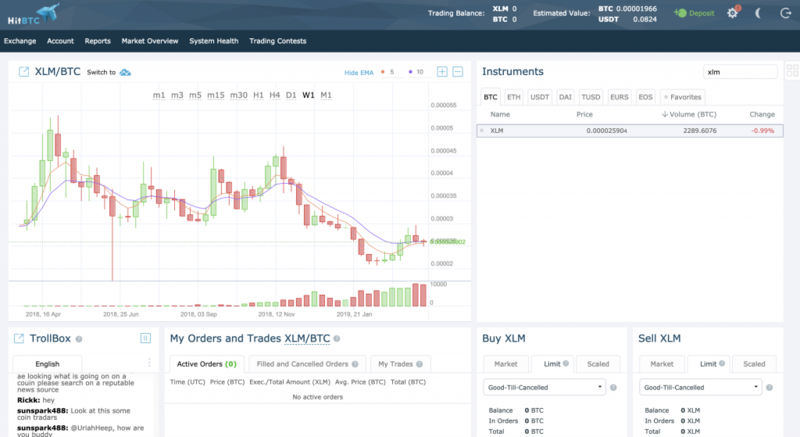 However, arguably the best way to buy Stellar Lumens is by using the “Limit” tab to place a limit order. This will allow you to specify the price you want to pay for XLM, as well as select the quantity you want to purchase at that price. Once the market reaches your desired price your order will be automatically filled. As one of the oldest cryptocurrency exchanges still in operation, Kraken has proved time and time again to be one of the people’s favorites — thanks in part due to its varied and high-quality selection of digital assets and unwavering approach to security. With great customer support and a large number of deposit options, Kraken is one of the most popular exchanges among more experienced cryptocurrency traders. Kraken also benefits from relatively relaxed verification requirements, allowing European users to register and deposit fiat currencies without the need for ID verification, though this is still needed for some other countries, including the US. Featuring over 20 digital assets and well over 50 trade pairs, Kraken provides traders with the tools and liquidity they need to perform well when trading. 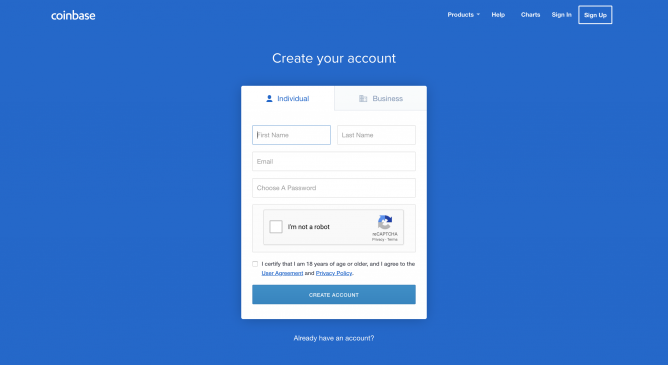 Kraken is built around ease-of-use, only requiring you to provide your e-mail address, and select a username and password when creating an account. After creating your account, you will need to finalize it by clicking the confirmation email you will receive. 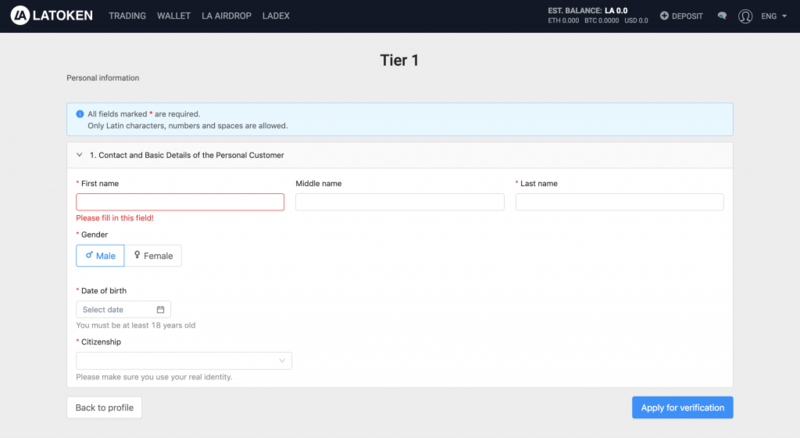 If you are looking to purchase Stellar (XLM) using a fiat currency such as USD, EUR or GBP, you will first need to complete at least tier 2 verification, which will unlock fiat trading features on your account. To do this, simply navigate to the “Get Verified” section by hovering over your username after signing in. Scroll to the bottom of the page to begin completing the required verification steps. First, you will need to complete tier 1 verification, which requires you to provide basic information such as your name, date of birth and phone number. Once this is complete you’ll then need to complete tier 2 verification by providing your home address. If you are using USD funding, you will also need to proceed to tier 3 verification, where you will be asked to provide proof of your identity, using a scan of your government issued ID document, in addition to proof of residence. US customers will also need to provide their social security number, whereas residents of Japan or Germany will need to upload a verification selfie. Once your account has reached the required verification tier, you will then be able to deposit USD, EUR or GBP to your account. Thankfully, depositing funds on Kraken is extremely simple. 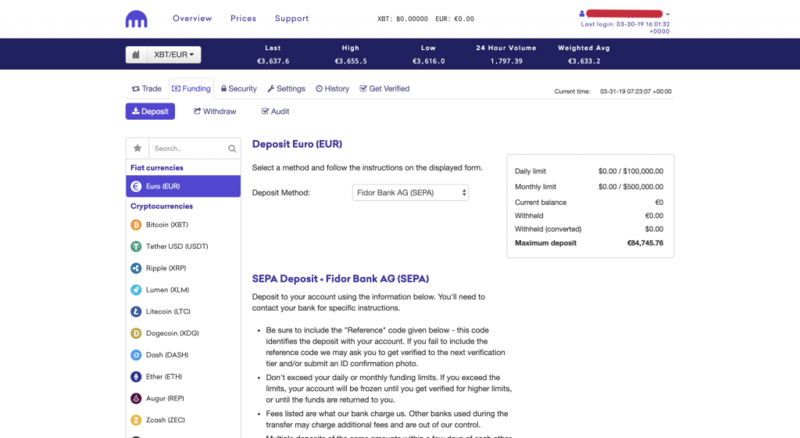 To begin, first navigate to the “Deposit” button, which will take you to your deposits dashboard. The fiat currencies you are able to deposit will be shown on the left. Select the fiat currency you’re looking to deposit and you will be provided a selection of deposit methods to choose from. After selecting your preferred method, simply follow the instructions provided to send your funds to Kraken’s account. Depending on the deposit method chosen, your funds should be credited to your account within 7 business days. After your funds have reached your account, you will then need to navigate to the Stellar trading options by selecting your desired trade pair using the options shown below. 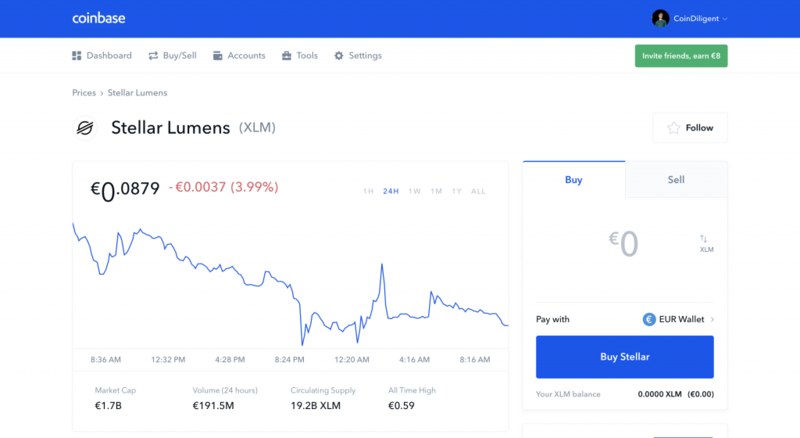 If you are exchanging EUR, then you’ll need to select XLM/EUR, whereas for USD you’ll select XLM/USD. Once this is selected you’ll need to create an order by selecting the new order button. We recommend keeping the order settings on ‘simple’ or ‘intermediate’ unless you are an experienced trader. Once selected you will be able to enter the number of Stellar (XLM) you wish to purchase. If you select market order, you’ll be able to purchase XLM at the going market rate. 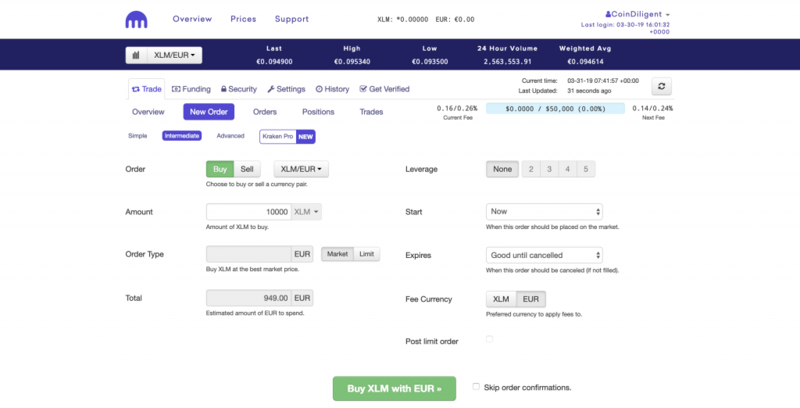 Whereas, if you place a limit order, you can set the maximum you are willing to pay per XLM. That’s it! If you place a market order, your order will typically be filled right away, whereas limit orders may take some time to complete depending on how optimistic your limits are. Although Coinbase, Kraken and Binance are some of the most popular exchanges, there are several others that are worth a mention, as each has its individual merits that may make them appeal to you. Rather than telling you where to buy Stellar Lumens, we’ll briefly cover some of the better alternative exchange platforms, allowing you to choose which is best for your circumstances. 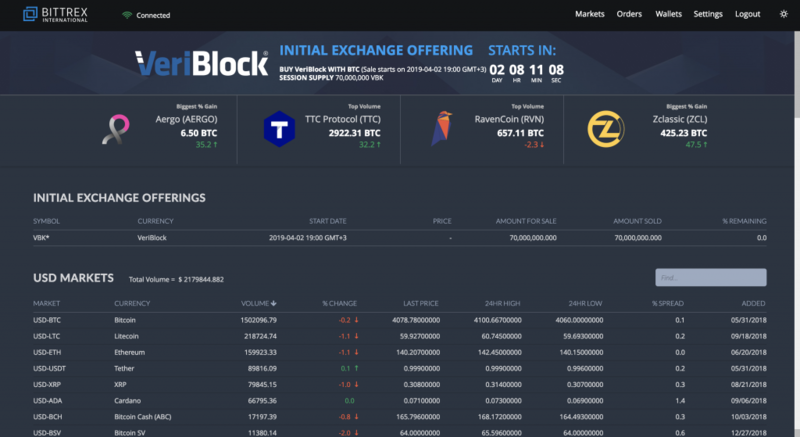 Despite being a relatively new cryptocurrency exchange, launching in just July 2017, LATOKEN has quickly risen to become one of the most popular exchange platforms, and now sees over $30 million in daily trade volume. After recently adding Stellar (XLM) to its trading platform in November 2018, XLM has since become one of the most commonly traded assets on the exchange, accounting for more than 10% of the total exchange trade volume. After creating an account and logging into the exchange, you will need to complete identity verification, providing your full name, proof of address, identity document etc. before you will be able to buy XLM on LATOKEN. Once you’ve completed all the KYC requirements, navigate to the deposit section, search for XLM in the assets section, and click the buy option to buy Stellar with credit card or debit card. Alternatively, if you don’t want to complete KYC, you can instead deposit either BTC, ETH or USDT via the address provided in your deposit section. 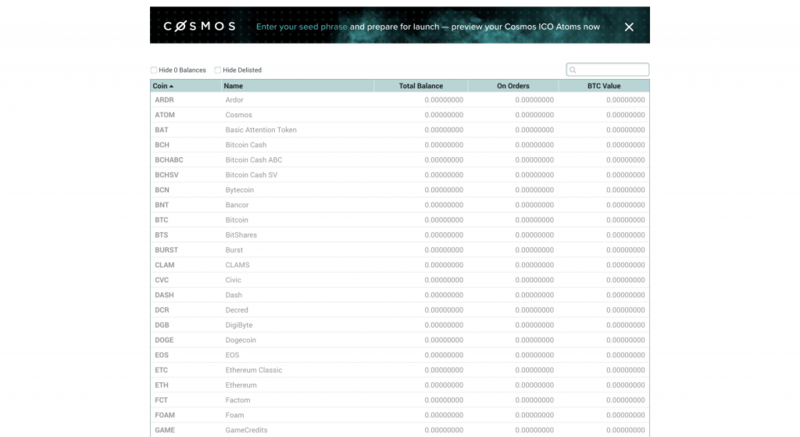 Before heading over to the trading section to trade your newly deposited coins against XLM using the ‘BUY XLM’ menu. Another relatively new entrant to the cryptocurrency exchange space, HitBTC has been kicking around since 2015, and has managed to into one of the most popular platforms to buy Stellar cryptocurrency. Currently, HitBTC is among the top 20 largest exchanges by trade volume, much of which can be attributed to the huge number of markets it allows its users to trade — with close to 800 trade pairs and well over 100 cryptocurrencies supported. To purchase XLM on HitBTC you will first need to create an account on the exchange, before making your way over to the deposit section. In the deposit section, you will have access to all your personal wallets. Currently, XLM can only be traded against BTC, ETH, and USDT, so you will need to load your account balance by depositing one of these. Once your deposit is confirmed, click the exchange button, search for XLM on the right, choose the BTC, ETH or USDT tab, and place your market or limit order using the available options. 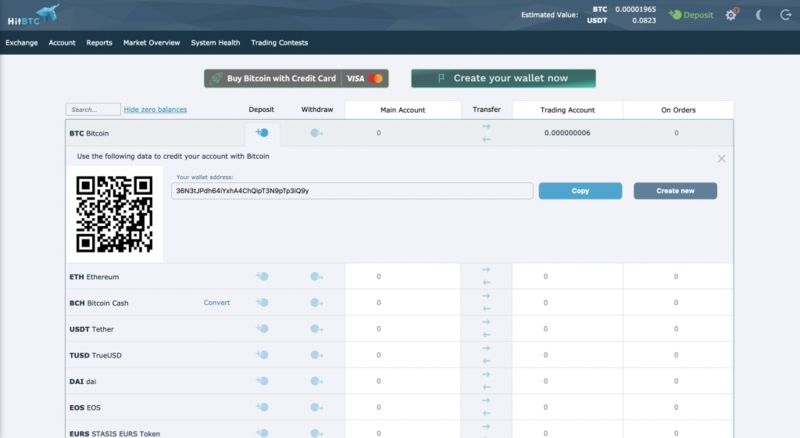 Currently, HitBTC does not support fiat deposits, but you can purchase Bitcoin (BTC) directly with a credit card, which can then be exchanged for XLM through the trading interface described above. Based out of Seattle, Washington, Bittrex has grown into a force to be reckoned with, offering one of the most comprehensive arrays of supported altcoins available anywhere. Bittrex finds itself the home of avid altcoin traders, thanks to the excellent liquidity and variety it offers, featuring some cryptocurrency trading pairs that are difficult to find elsewhere. Featuring an advanced order matching platform, great customer support, and transparent trading fees, Bittrex is widely considered to be among the most user-friendly trading platforms around. 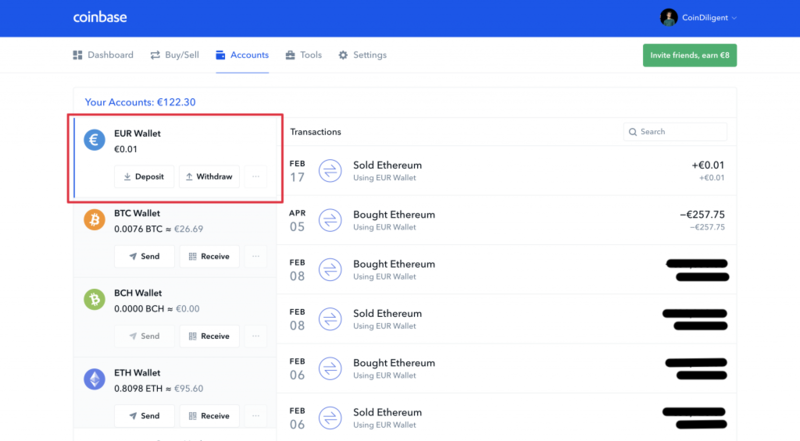 To buy XLM on Bittrex you will first need to create an account and top up your wallet balance with either BTC, ETH or USDT using the designated address supplied in the wallet section of your dashboard. Once your account has been loaded, navigate to the markets section where you will find the XLM-BTC, XLM-USDT and XLM-ETH markets. Select the one that works for you, and enter the quantity and price you’re willing to pay for each XLM, before clicking the ‘Buy Lumen’ button to execute the order. Since mid-2018, Bittrex also allows USD deposits on the exchange, however you will need to apply via the support ticket system to get this enabled. Once enabled, you’ll be able to exchange your USD for XLM through a two-step process, first by exchanging USD to BTC, and then exchanging this BTC to XLM as described above. 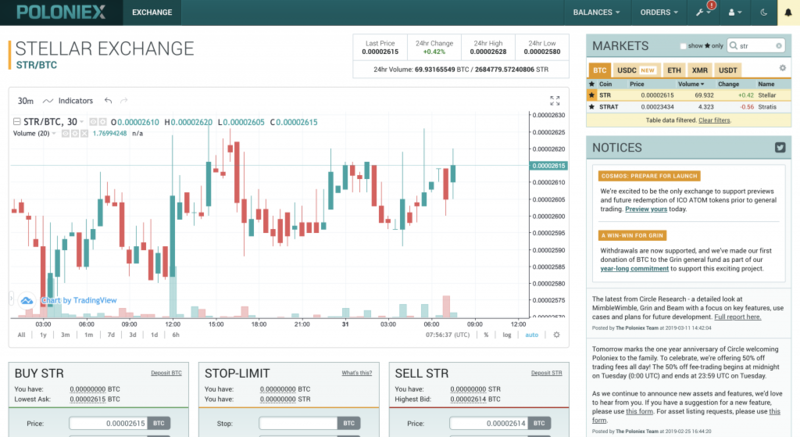 Launched in 2014, Poloniex has become a staple in the cryptocurrency exchange industry, thanks to its selection of high-quality digital assets, advanced trading features and low trading fees, earning it strong support from high-volume traders. Currently, Stellar (XLM) is the fourth most popular asset on the Poloniex exchange, giving it excellent liquidity even for large orders. As a crypto-only exchange, Poloniex does not allow fiat deposits or withdrawals, so fiat traders will need to look elsewhere. Note: Stellar is listed as STR on th Poloniex. To get started with buying Stellar on Poloniex, you will first need to create an account at the exchange, and complete the mandatory KYC information, providing your full address and proof of identity. 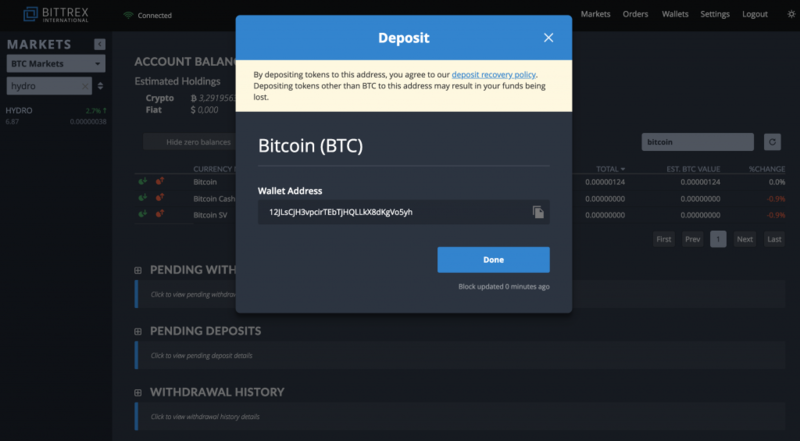 Once verified, you’ll be able to deposit BTC, USDT or USDC to your account using the address provided in your ‘DEPOSITS AND WITHDRAWALS’ section. This should appear in your balance after reaching the minimum number of confirmations Poloniex requires. Once your balance is credited, navigate to the exchange platform and use the filter box to search for STR, before selecting your desired trade pair. The buy STR panel will then be displayed on the bottom left, allowing you to place your order. Stellar is a digital platform that is looking to change the way value is transferred online, allowing anybody to send cross-asset payments over the decentralized Stellar network at low cost. Stellar aims to settle these peer-to-peer transactions fast, massively reducing the settlement times that are normally associated with cross-border payments, ensuring even the unbanked can benefit from speedy money remits. The platform has a particular focus on banks and businesses, aiming to help provide their services to customers in regions suffering from restricted access to financial services. Because of its broad-spectrum utility, the Stellar blockchain has been adopted for dozens of different use-cases, ranging from enabling financial institutions to lower the cost of money remittance, to making micro-payments more cost-efficient and enablling cross-provider transactions. Since its release in June 2014, Stellar has witnessed extreme growth, reaching a peak of almost $0.90 in January 2018 as its market capitalization swelled to over $15 billion. Since then, Stellar has lost a great deal of its value as the general cryptocurrency market entered into a downtrend in 2018, but appears to be showing signs of recovery in early 2019. As it stands, Stellar is currently the 9th largest cryptocurrency by market capitalization, making Stellar one of the ‘safer bets’ in the market, having proven time and time again that it is able to survive poor market conditions. However, compared to its biggest competitor — Ripple (XRP) — Stellar still has some catching up to do, since Ripple often trades places with Ethereum (ETH) as the second largest cryptocurrency. That being said, Ripple does have a two-year head start, and Stellar has done well to close the gap despite this lead. According to the recently released Stellar roadmap, the Stellar Development Foundation has big plans for the near future, with plans to enhance the decentralization of the network by adding more validators, while making operating a Stellar node much simpler, reducing the barriers to entry. Beyond this, Stellar have pledged to massively boost its community presence as well as add to its extensive list of promising partnerships, which already includes over 3,000 network partners including Stripe, Keybase, IBM and Western Union. How Does Stellar Fit into Your Crypto Portfolio? In some ways, Stellar is quite similar to Ripple (XRP), which is arguably also its largest competitor. However, unlike Ripple, which focuses on private institutions, banks and payment providers, Stellar is designed to be open and accessible to all — including enterprise users. Because of this, it can be argued that Stellar has more long-term potential, since it can eventually grow to encompass a larger share of the economy. Overall, if you have found yourself wondering “Should I buy Stellar Lumens”, the answer likely depends on the current state of your portfolio. If you have already invested in XRP or similar platforms, then also investing in XLM may be redundant. If not, then Stellar could be a great addition to help diversify your portfolio. Stellar was founded by Jed McCaleb in 2014. Prior to founding Stellar, he founded and served as CTO at Ripple. Where should you buy Stellar? What is the best Stellar wallet? After you bought some Stellar, it’s crucial that you know how to store your coins safely. If you don’t store your coins correctly, you may become the victim of a hacker and lose all your XLM. There are essentially two ways for you to store your Stellar: hardware wallets and software wallets. If you want to store your Stellar on a hardware wallet, then the best option is to get a Ledger or a Trezor. If, on the other hand, you want to store your Zcash on a regular wallet, then the best options for you are ASTRAL or Blockchain.com. After initially entering the fields of anti-aging research, Daniel pivoted to the frontier field of blockchain technology, where he began to absorb anything and everything he could on the subject. Daniel has been bullish on Bitcoin since before it was cool, and continues to be so despite all evidence to the contrary. When he isn’t thinking about blockchain technologies, Daniel can be found listening to his audiobooks on 3x speed because he enjoys a challenge.